Hayabusa works best with characters who can save him from disabling skills or have disabling skills themselves, allowing him to deal damage without worrying about getting too much in return. Characters with displacement skills works best with him so he can focus all his ultimate damage on that 1 person only. If skills hit the same target 4 times within a period of time, Hayabusa will restore some health. The lower your health, the more health you will restore. This passive has a cooldown of 3 seconds. Throws out 3 shurikens in a fan shaped area. Each shuriken deals 250 physical damage and lowers the enemy’s movement speed by 60%. If the same enemy was hit again later, that enemy receives 200% of the original damage. If all 3 shurikens hit the enemy, Hayabusa regenerates 20% of health. One of the best escape abilities in the game, use this to run away from enemies! Teleport onto the enemy and use your first skill to damage the enemy with maximum damage from 3 shurikens! Deals multiple single target damage while dashing from enemy to enemy. Deals 130 physical damage per hit. Damage on a single enemy increases by 5% each time Hayabusa hits them with this skill. Which skills do it level up at each level? Purify: If you ever get stunned and is about to get killed by the whole opponent team, use this spell to quickly get out. Hayabusa has a great escape skills but he can’t use it if he is stunned. Be careful while using it though as it has a really long cooldown. +70 physical damage, +10% CD reduction, 20% of damage from skills heal the hero. Hayabusa’s ultimate deals massive damage, taking advantage of the healing on this item, giving him lots of sustain. A must buy when you play hayabusa. The CD reduction helps in letting you use your ultimate more too. Every hero except fanny needs boots plus, the extra CD reduction will allow you to use your ultimate more. A must have for assassins to avoid getting slayed by mages plus, it gives you a bit of protection from the shield to avoid death, This item is really good for assassins as its the best offensive-defensive hybrid item in the game and assassins benefit a lot from this. This item will give Hayabusa a big damage boost along with more CD reduction which always helps greatly in letting you use your ultimate more. +170 physical damage, +10% attack speed, deals 10% of extra damage to enemies who are stunned, disabled etc. The last and final item. Gives you a ridiculous damage boost, allowing you to deal up to 700 basic attack damage while being able to kill characters like zilong with just your ultimate. Chou – This guy can tank damage well and has decent disables to distract the enemy while you run away but more importantly, his ultimate kicks enemies far away from their teammates to let you focus all you damage on that person. 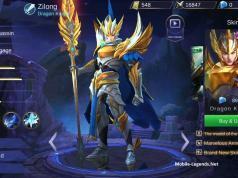 Zilong – Again with displacement skills, zilong can move displace the enemy and both of you can proceed to burst down the enemy. 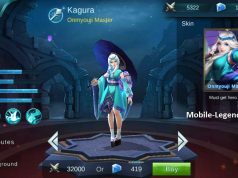 Zilong and Hayabusa are really dangerous at ambushing as both of them can deal massive damage quickly. Akai – Is tanky enough to protect you from damage and his ultimate is sure to let you land all your ultimate damage onto the enemy. Both of you are also really good at poking too. Hayabusa’s 1st skill and Akai’s 2nd skill can annoy the enemy a lot. Harley – Harley has no disables, no stuns, just nothing! Don’t hestitate to attack him at all. As long as he is not with his teammates, take the chance and kill him with your ultimate. He also can’t run from you too as you too can teleport like harley. Karrie – Karrie is just all about damage but you are invincible during ult mode so you can damage her without taking any in return. If she does start attacking you, just teleport away, no problems here! Karina – You deal a lot more damage than her late game, no way is it possible to lose even if you are at half health. I once even killed karina with less that 15% of health with her at full so don’t turn away from a chance to kill her. If you play him really well, you really won’t ever die as your teleport is your life saver but there are some heroes that will give you some problems. Zilong – The bane of all assassins. This guy has so much burst that as soon as you are done with your ult, you immediately get a bomb of damage to your face. A fed Zilong will have no problems killing you. Aurora – The queen on disables. Her freeze makes you unable to do anything, giving her teammates time to kill you. This is where purify comes in handy. Sun – What? Sun? But he is useless! Sun’s clones makes is completely impossible for Hayabusa to kill him as his ult will be divided among the clones, minimising the damage. He can’t kill you as he has pathetic damage but you cant kill him either. Sun just makes you completely waste your ultimate which is ridiculously annoying. Hayabusa is definitely stronger than most characters in the game. His ability to deal damage without taking much is return is his strength. He can deal a ton of damage but his biggest weakness is not being able to support as well in teamfights. Although being really weak early game, he is able to make it up for it late game. 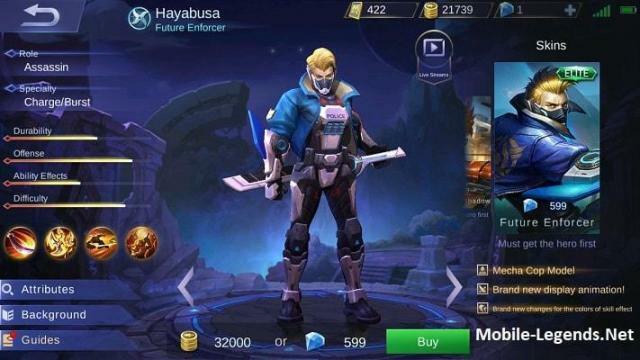 He is not item dependent which is good but he is level dependent as Hayabusa is pretty useless without his ultimate. His ultimate is what makes him. Mastering Hayabusa means mastering his Quad shadows. After mastering his shadows, you will be unkillable. Thank you for sharing “iplayHAYDAY“!